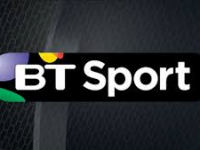 Eastleigh Football Club is delighted to announce that its first ever home fixture in the Conference Premier has been selected for live broadcast with BT Sport. As a result the fixture will be re-arranged from its original date of Tuesday 12th August to Thursday 14th August at 7:45pm. Further Eastleigh FC matches for live broadcast will be announced at a later date. Eastleigh FC are happy to announce a pre-season fixture vs. AFC Bournemouth on Tuesday 15th July at 7:45pm. AFC Bournemouth manager Eddie Howe will bring his first team to the Silverlake Stadium in what promises to be a good test for the Spitfires as they prepare for their first season in the Conference Premier. Tickets will be £8 per person or you can take advantage of all 5 pre-season home fixtures for £10. The Conference Premier fixtures for the 2014/15 season have been announced. Richard Hill and his squad will head north to Nuneaton Town on the opening weekend before our first home game three days later when we host Aldershot Town. Our 13th league fixture takes us to recently relegated Bristol Rovers, with the home game against The Gas men scheduled for the end of September. We host Woking on Boxing Day with AFC Telford United and Braintree Town away other fixtures over the festive period. A trip to Lincoln City is the final away game with the last game of the league season taking place at the Silverlake Stadium when Kidderminster Harriers will be the visitors. Please note: All these fixtures are subject to change due to live television selections and the impact of other competitions on the schedule. Eastleigh FC is delighted to announce the signing of Ben Wright from Salisbury City pending the finalisation of paperwork with the FA. Wright began his career at Basingstoke Town before moving to Hampton & Richmond where his prolific scoring attracted the attention on then Fulham manager Roy Hodgson where he passed a medical and looked set to sign. However, Hodgson backed out of the transfer at the last minute, and he instead joined League One Peterborough in 2009. Since then he has gone on to play for Grimsby, Crawley Town, Braintree Town and Salisbury City from where he was loaned to the Spitfires and scored an impressive 11 goals in 15 games to help us clinch the Skill South championship last season. We welcome Ben back to the Silverlake Stadium and wish him a successful time at the club. 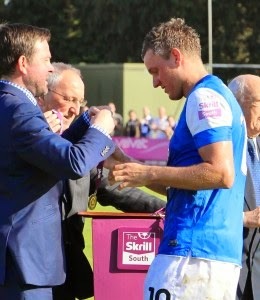 Eastleigh Football Club are extremely disappointed to report that their club captain Glen Southam has been released from his contract with immediate effect. Glen has been an inspirational skipper and a major factor in our promotion to the Conference Premier. He has conducted himself on and off the field in an exemplary manner and is rightly very highly regarded by everyone at the club. Unfortunately personal circumstance has dictated that Glen needs to find another club potentially but we are hopeful that will be with another Conference Premier team so that the fans will get a chance to see him in action at the Silverlake again this season and show their full appreciation. Club chairman Stewart Donald commented “I am very close to Glen, who has become not just the clubs captain but also a good friend. 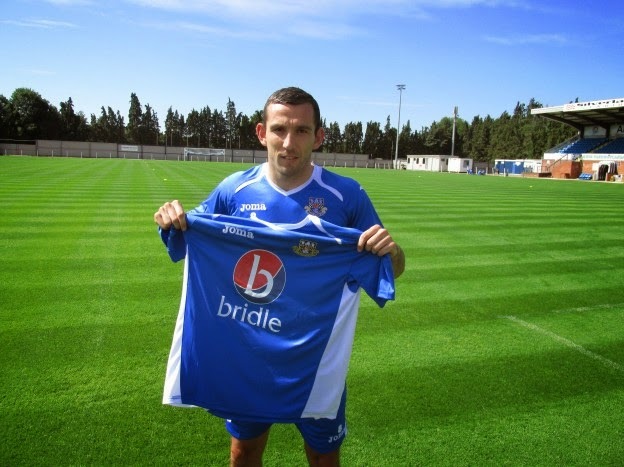 Eastleigh Football Club is delighted to announce Craig Stanley as their fourth signing of the summer. Stanley began his career with Walsall before moving to Hereford United in 2004. He became a key member of the side that clinched promotion to the football league after play-off victories over Morecambe and Halifax Town in 2005/06. Stanley captained the England National XI to a 4–1 victory over the Netherlands on 29 November 2006, winning the European Challenge Trophy. Stanley then went on to make over 170 appearances for Morecambe in League Two before joining Torquay United, Bristol Rovers and Aldershot Town who he left at the end of last season after failing to agree a new contract. We welcome Craig to the Silverlake Stadium and wish him a successful time at the club.